The avocado is a familiar fruit to most of us these days and is commonly consumed by people in many countries, but because of that familiarity it is easy to overlook the fact that this humble fruit is a truly amazing, super versatile and super healthy superfood. Although the healthy avocado has been consumed without ill effect by humans since the beginning of time, the “low fat” craze that swept Western nations over recent decades saw the humble avocado receive some bad press due to its high fat content and a reputation among the misinformed portraying it as a “less than perfect” food choice. Today however, the understanding of the importance of healthy fats in the diet is becoming common knowledge, and with that understanding has come an increase in the popularity of the avocado, not only for its uses in many tasty dishes, but also for the many health benefits that can be gained through its consumption. Super healthy avocado is high in many health-giving nutrients such as vitamins C, E and K, potassium and folate. These nutrients are vital for a healthy body and the high folate content in particular makes the avocado an extremely valuable food choice for pregnant women or for those trying to conceive due to the extra folate requirements of the developing fetus. The avocado has been shown in studies to provide significant anti-inflammatory benefits to those who consume it. Those superb avocado fats that were much maligned for many years by low-fat fanatics include a large percentage of very healthy mono-unsaturated fat, and it is the unique and unusual nature of the fats contained in the avocado that provide part of the anti-inflammatory effect. 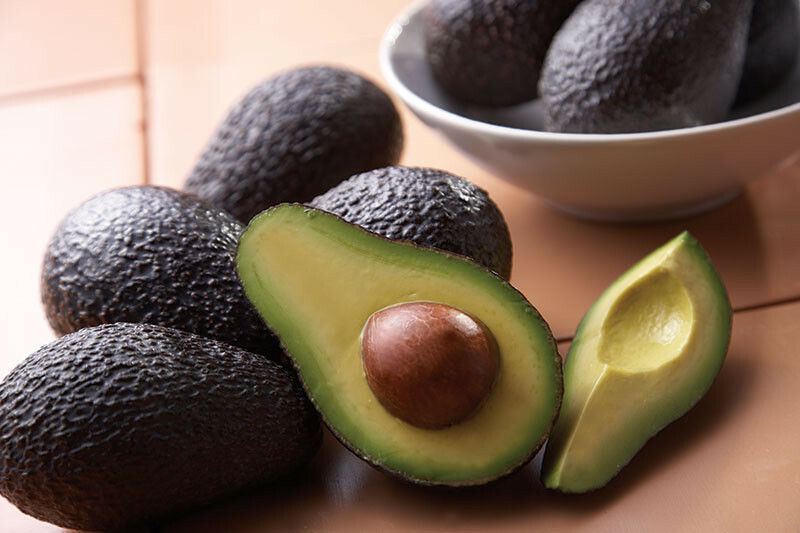 The other reason for the anti-inflammatory benefits of avocado is the amazing array of carotenoids that it contains in the dark green area just below the skin. These include not only those that are well known, such as beta-carotene and lutein, but also others that are less common. As the popularity of the avocado has increased, so too it would seem have the ways in which it is used. While many still think of avocado as something tasty to add to a salad, others are creating amazing desserts, drinks and unusual dishes using this versatile fruit. * Guacamole and dips are a common but quick and tasty way to use avocado. There are a multitude of varieties and versions of dips and spreads using many ingredients, from a simple combination of avocado, garlic, salt and pepper to more complex varieties using tomatoes, peppers, herbs and spices. * Blend avocado in salad dressings in lieu of eggs or dairy to add creaminess and texture. * Italian inspired toast: Rub toast with fresh garlic clove, then spread with avocado and add salt and pepper. It’s delicious! * Raw dishes such as these yummy and super healthy lettuce and avocado tacos. * Scrumptious raw desserts such as this raw chocolate avocado mousse. * Create creamy smoothies and super healthy drinks by blending avocado into freshly made juices or smoothies. Regular avocado in the diet has been shown to reduce inflammation, assist weight loss, improve the skin and improve cholesterol levels. Avocado truly is a super healthy, super versatile superfood!